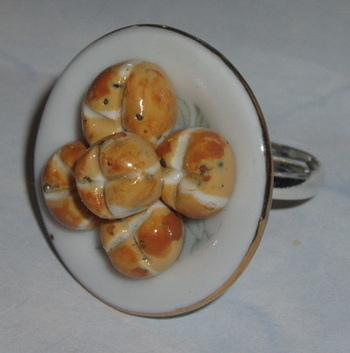 Handmade Hot Cross Buns on a Plate Ring securely attached to an adjustable silver plated base. 5 buns on the plate. Plate measures about 27mm across and is made of porcelain.